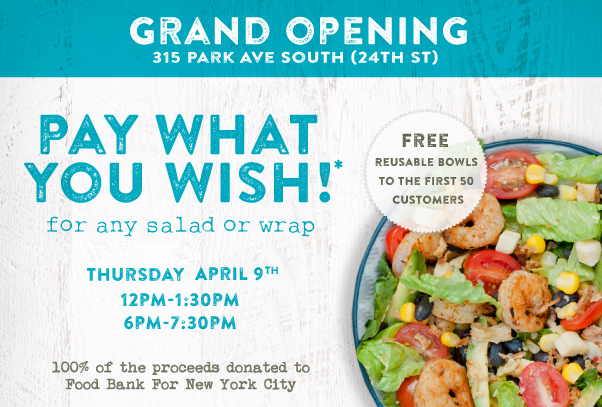 Join us for our Grand Opening Event at 315 Park Ave South! All proceeds will go to our friends at the Food Bank For New York City, the city’s hub for integrated food poverty assistance. *In-store only. Pay what you wish up to a $10 value. 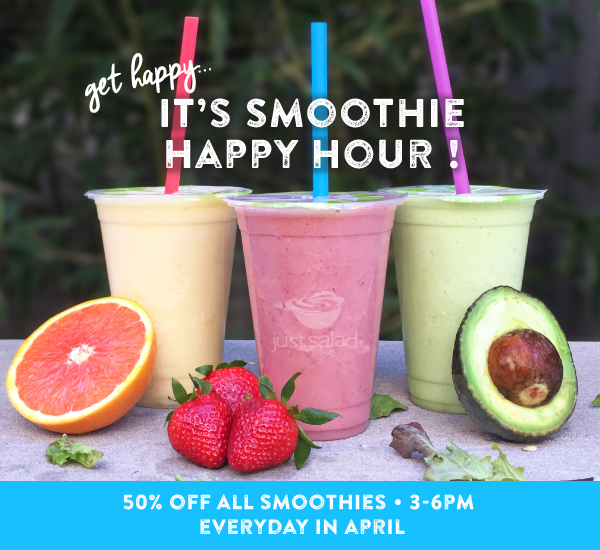 Only valid on 4/9/15 from 12pm-1:30pm & 6pm-7:30pm, at 315 Park Ave South. One wrap or salad per person. Cannot be combined with any other offer.